I’ve had the pleasure of working with Keola Homes in Auckland for nearly a year now. And the very exciting news is that they won a bronze Award in the New Zealand Commercial Project Awards at a National Gala Dinner earlier this month. Keola Homes’ award was for building the Magic Kingdom Childcare Centre in Blockhouse Bay, Auckland. The childcare facility features a host of environmentally-friendly credentials, including solar panels and rainwater recycling. The building process itself also had a strong emphasis on recycling. There were some complex project management challenges for Keola Homes to deal with, as their client had to start marketing the facility and get Ministry of Eduction certification one month prior to the construction being completed. So the furniture was being delivered and installed, and the exterior landscaping taking place, while the construction work was still in progress… crazy! Best of all, the childcare centre was completed on time; had no health and safety issues; and the childcare centre was over-subscribed with customers by the time it opened. Nice work! 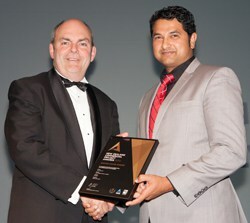 My client, Sanjesh Lal (right) of Keola Homes, receiving his Commercial Project Award. Presented by Hon Steven Joyce, Minister for Economic Development. 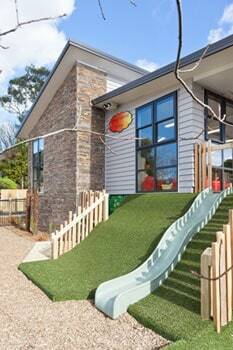 The award-winning childcare centre built by Keola Homes, Auckland. Sanjesh at Keola Homes reckons they were the smallest business by far to win an Award. It is awesome to see a small business doing well on what’s traditionally the big boys’ turf. It shows that small businesses can do great things. 2. It demonstrates that I get great results for my clients! OK, so I didn’t help to lift a single brick nor did I wield a shovel to help construct the award-winning childcare centre. But I did write the award entry – which was very extensive and detailed (about 6,000 words in total). Plus I’ve been working on Keola Homes’ marketing and copywriting for nearly a year… so it goes to show that professional copywriting can make a real, demonstrable difference to a business of any size. And now that Keola Homes has won an Award, I’ve been busy writing and distributing a press release to selected niche publications to help spread the message and capitalise on this marketing angle. Timing: you need to react promptly. And hope like heck that there’s no major news story to obliterate your chances of getting covered. A strong angle: your story needs to be newsworthy and relevant to the publications you’re covering. You probably need an angle stronger than “we’ve won an award”, it needs something else as well to give it the x-factor. Selecting the right publications: getting coverage in a nationwide paper or TV is hard. So go for the lower-hanging (but just as tasty) fruit, such as niche publications read by your target profile. Photographs: a picture paints a thousand words, and editors are more likely to give you coverage if you have some good quality, high-resolution images to go with your story. Keola Homes is a family-run building company, with husband-and-wife team Sanjesh and Sangita Lal taking care of Operations and Accounts respectively. Their nephew, Amrish, a recent graduate, is the Project Manager, and part-time Project support comes from Sanjesh and Sangita’s son, Rohil, a student. Keola Homes specialises in the design and build of architecturally-designed homes Auckland-wide; these are often on sloping or difficult sections. Sanjesh manages a team of approximately 25 sub-contractors at a time… he’s one busy business owner! 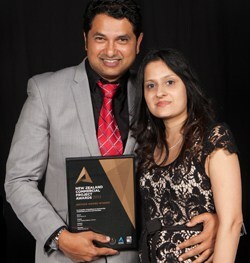 Sanjesh and Sangita Lal with their very well-deserved Commercial Building Award. Many, many congratulations, Sanjesh and Sangita – you deserve this! PS. Are you an Auckland small business owner in need of some copywriting and marketing magic? My copywriting and marketing services are in hot demand at the moment, but I may have an opening in a month or two. Please contact me to check availability (space is allocated on a first-come, first-served basis… it’s only fair that way!). 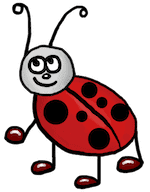 Note that award entry writing services are only available to Retainer clients I’ve been working with some time, and I only write one award entry at any time. 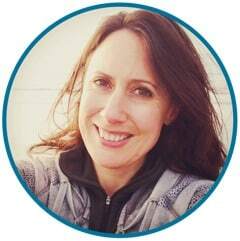 I put a massive amount of effort and energy into client award entries – that’s why my clients do so well in Awards! So far, every award entry I’ve written has resulted in my client becoming at least a Finalist, if not a Winner. So if you’re thinking of entering an Award next year and would like some help, now’s the time to get the conversation started. The first step would be to have an initial marketing consultation: full details and prices are here.